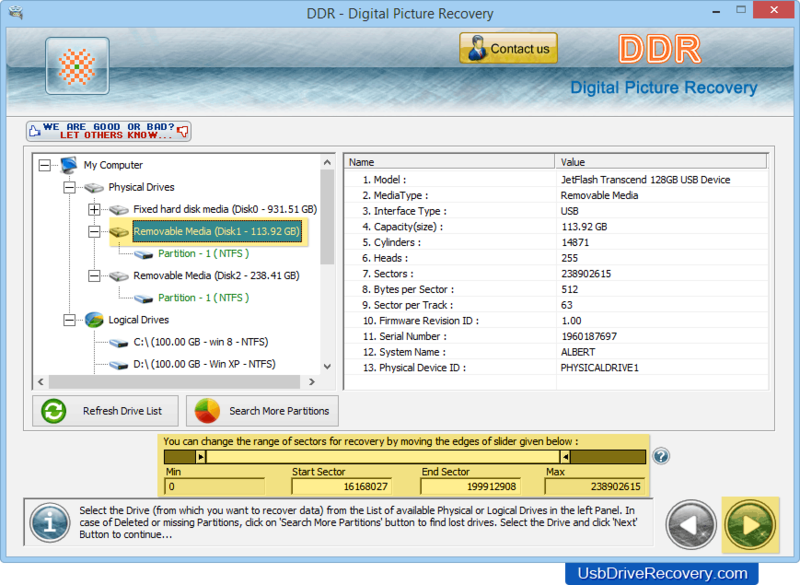 Digital Pictures Recovery Software recovers lost photos, pictures, images from hard disk drive partitions or USB supported removable media drives. Software restores photos lost due to virus attack, human error, factory setting reset or hardware-software malfunctioning or even after corrupted MBR, DBR, MFT, FAT, Root directory entries. 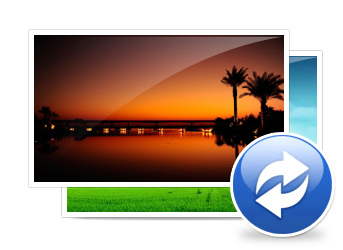 Software supports lost files saved in gif, jpeg, jpg, png and other similar file formats. Restores data missing or lost due to Virus infected or corrupted data storage devices, power sabotage, logically damaged file storage devices, Corrupted boot sectors etc. Provides advanced disk scanning mechanism to scan and restore deleted files from digital data storage media devices. Recovers data from hard disk and different USB supported media including Pen drive, External mobile phone memory, Memory Cards, Flash drives, etc. Select Removable Media drive from left panel to restore lost files. Set the range of sectors for recovery process and click on 'Next' button.